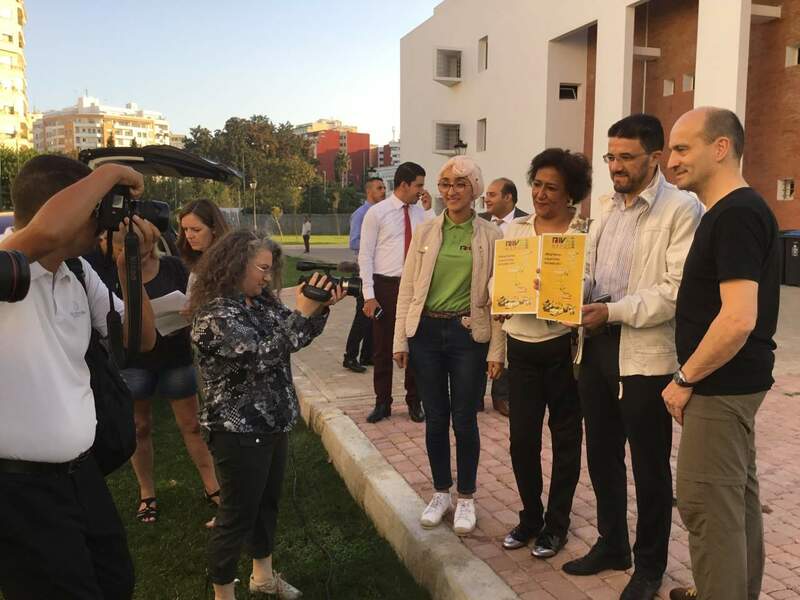 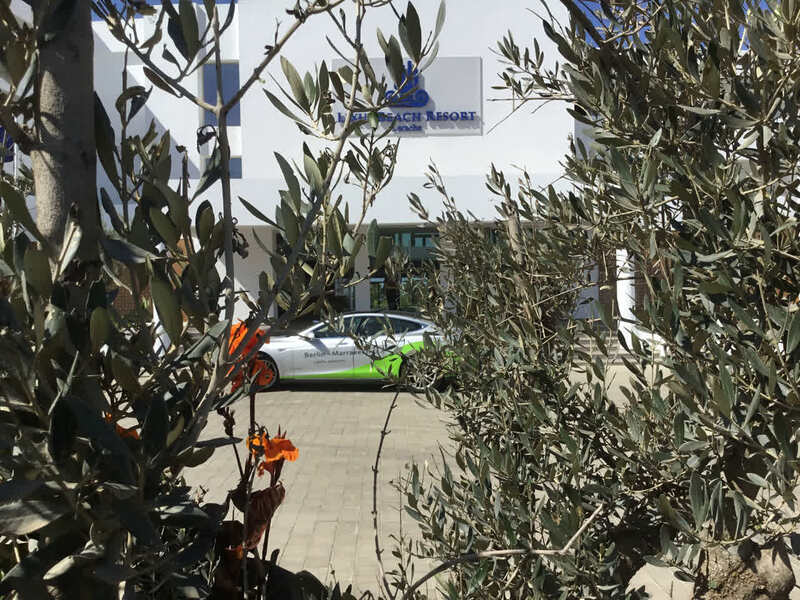 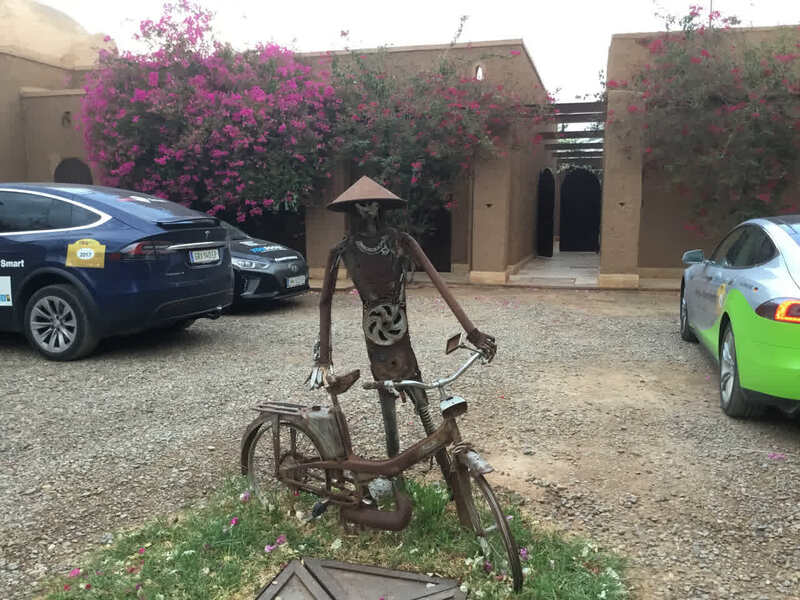 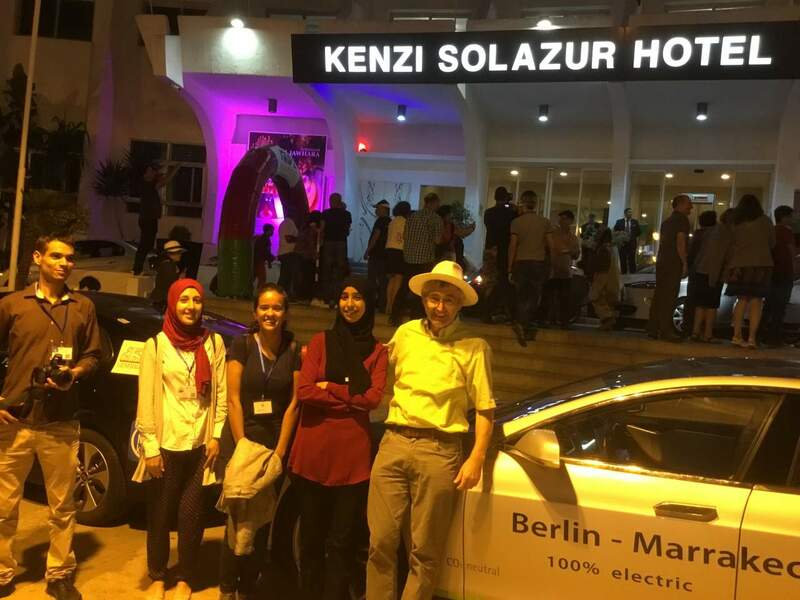 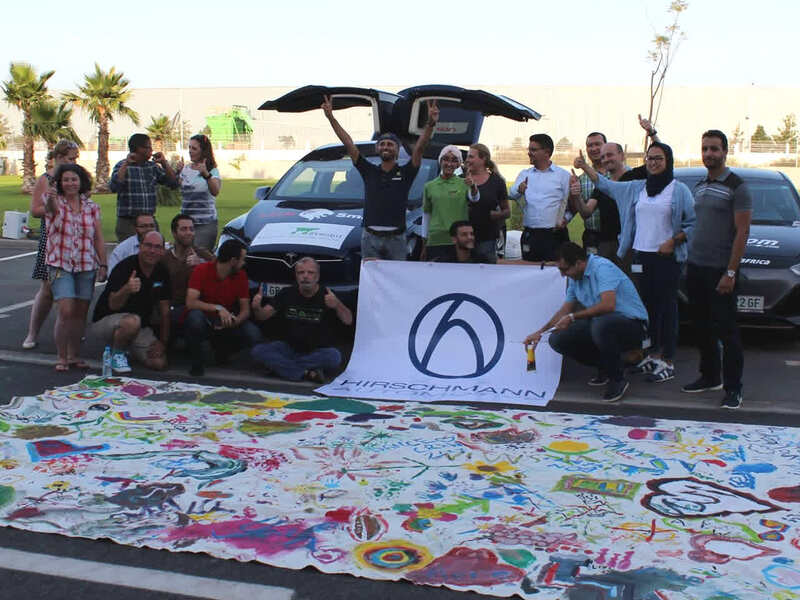 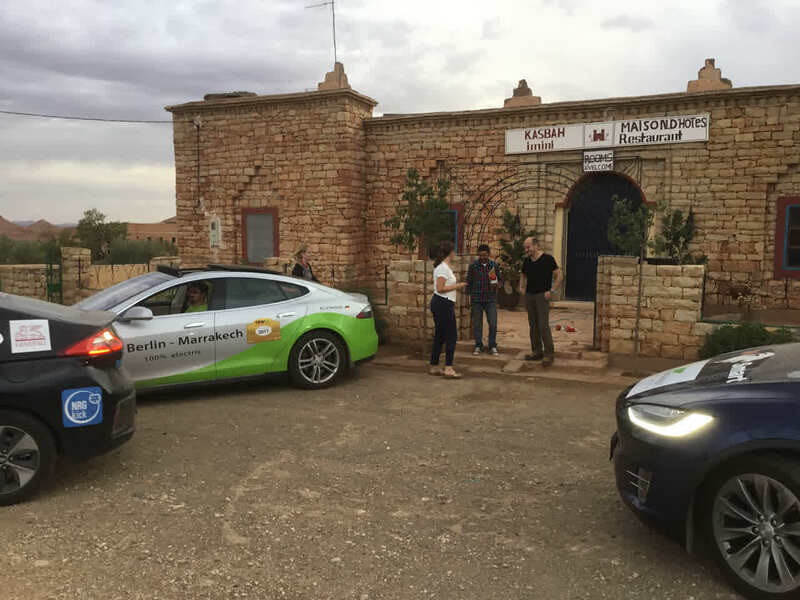 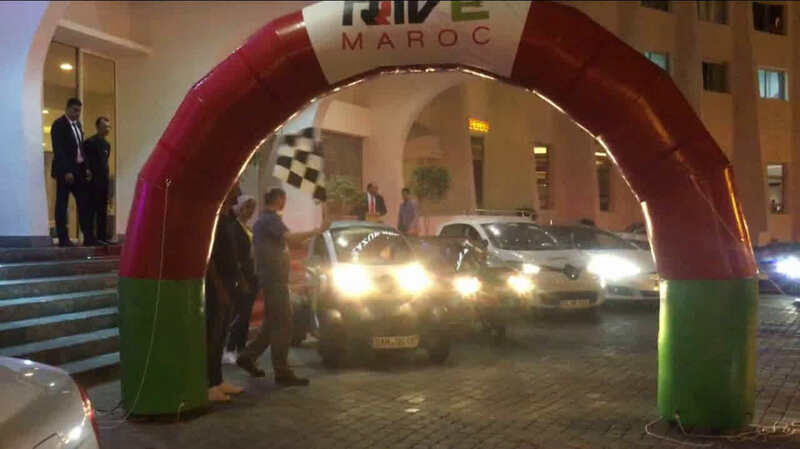 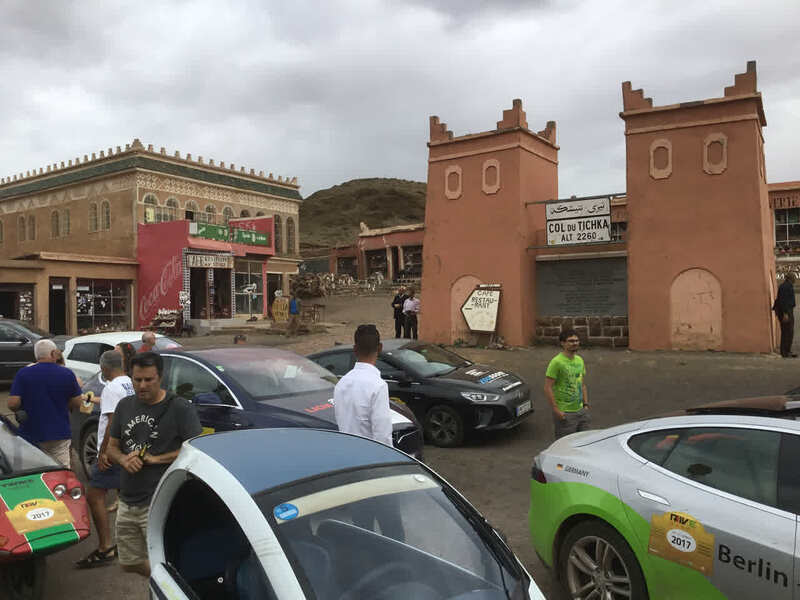 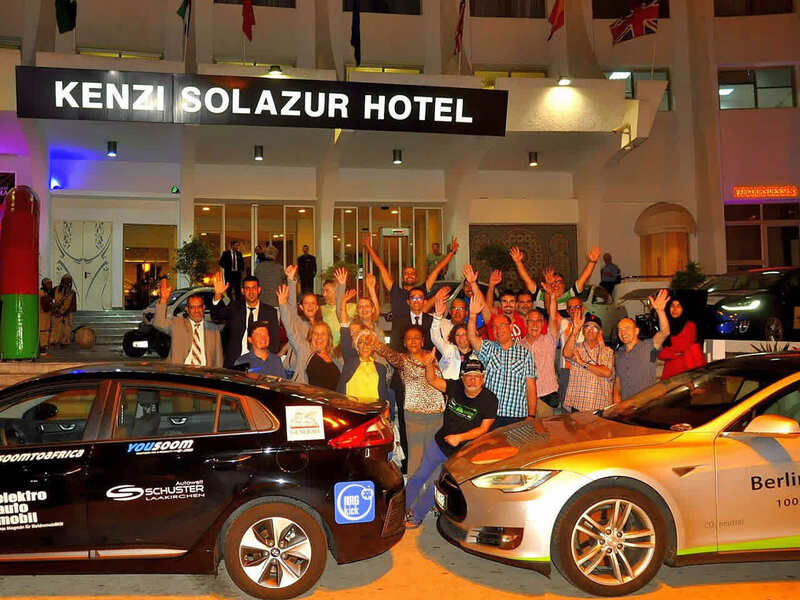 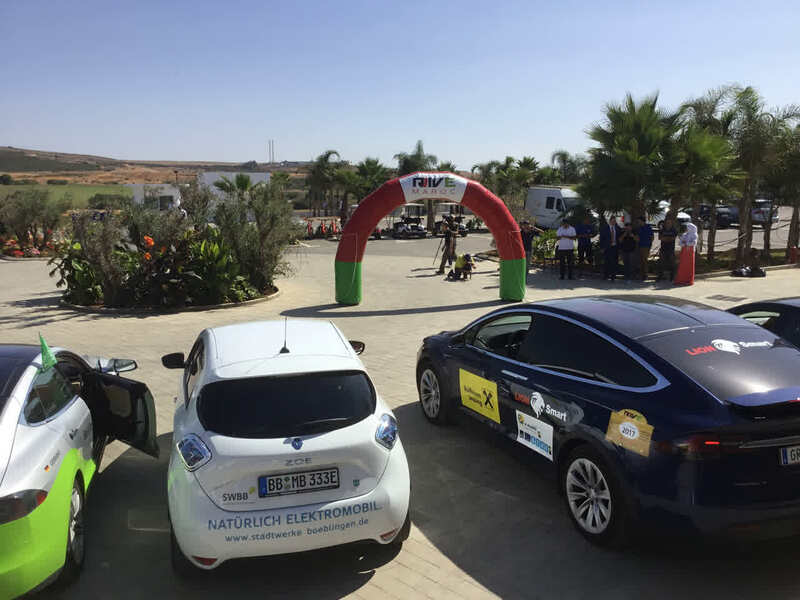 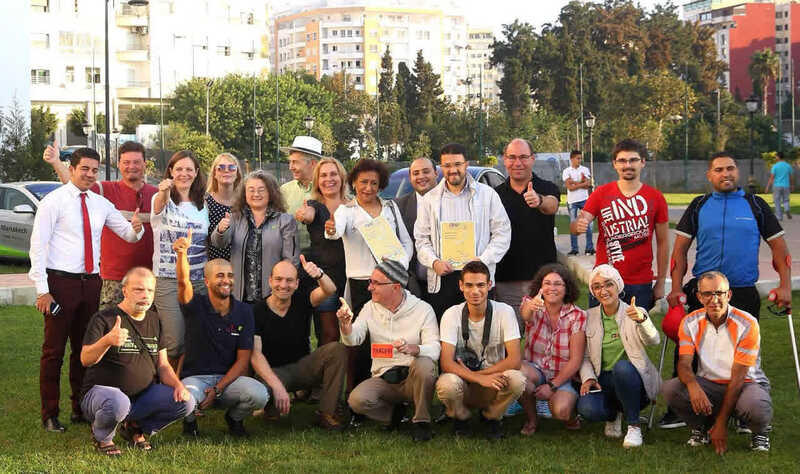 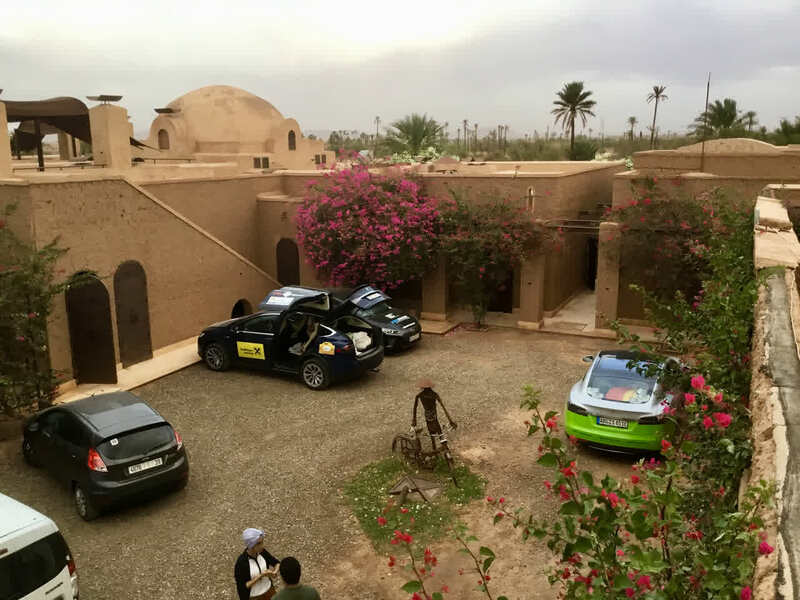 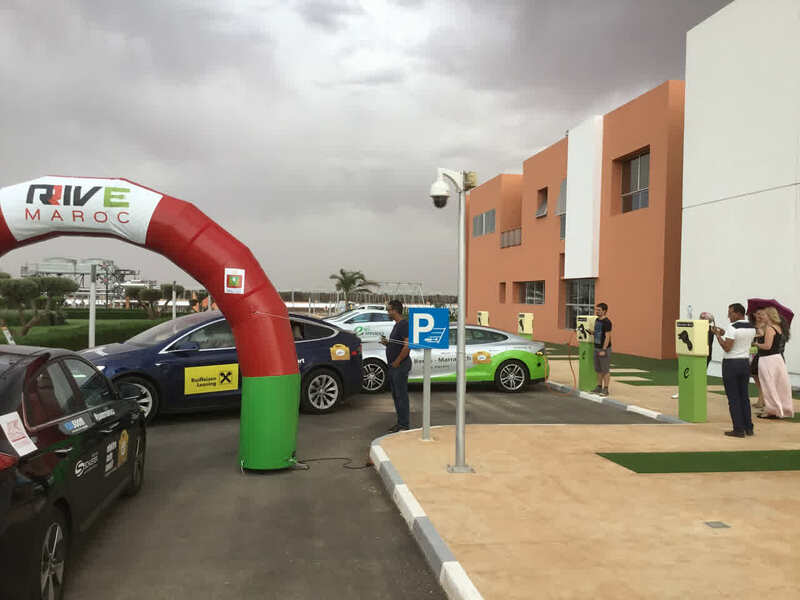 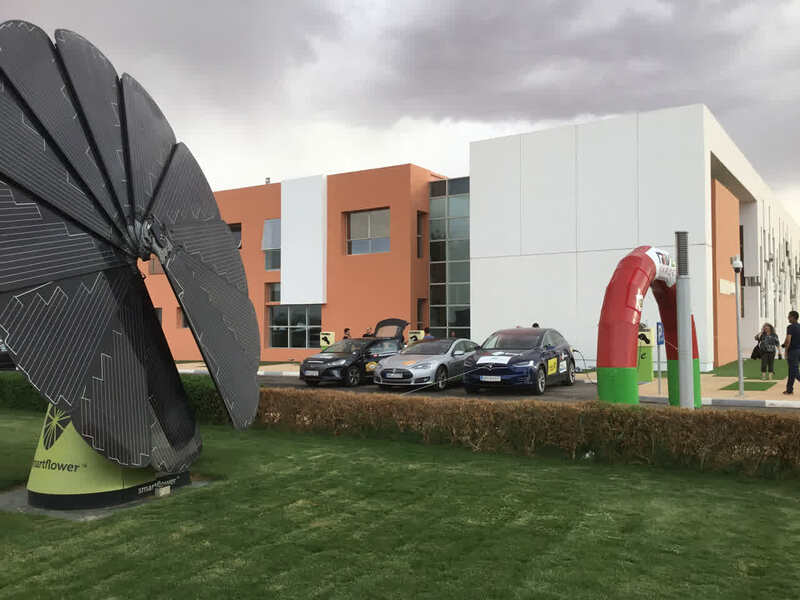 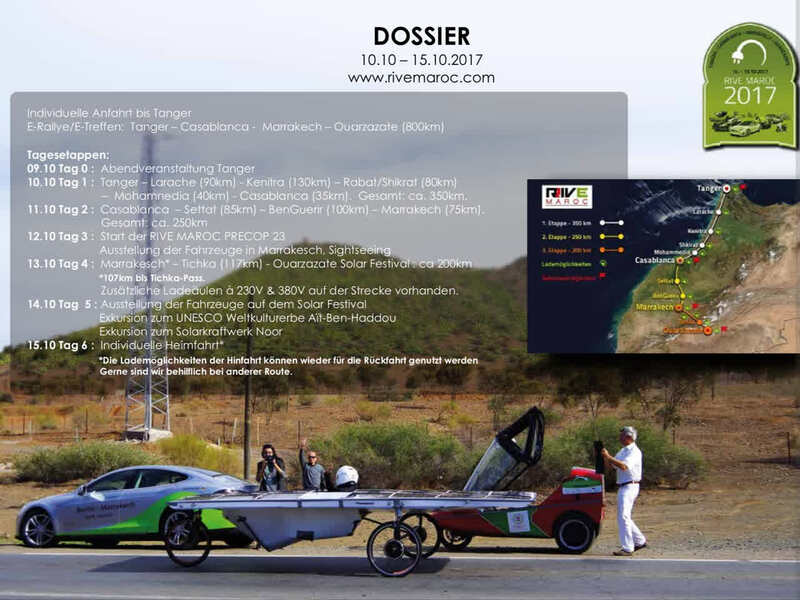 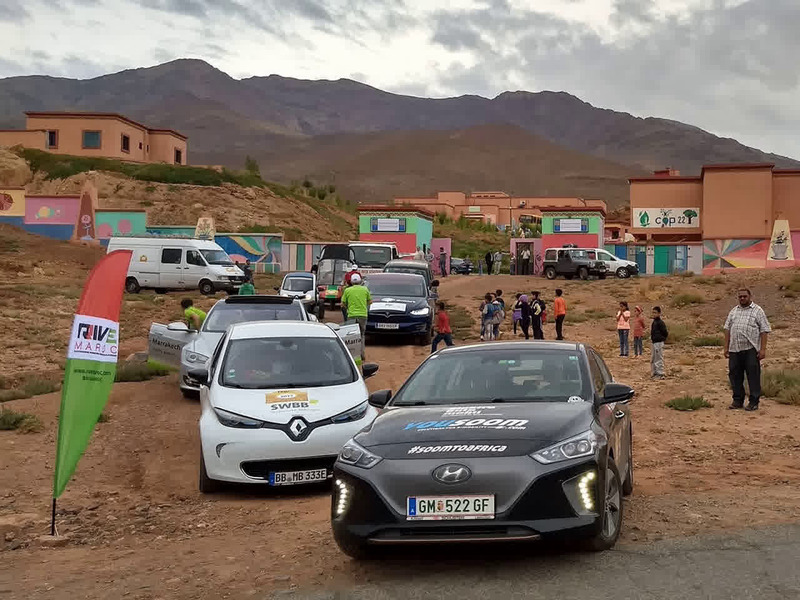 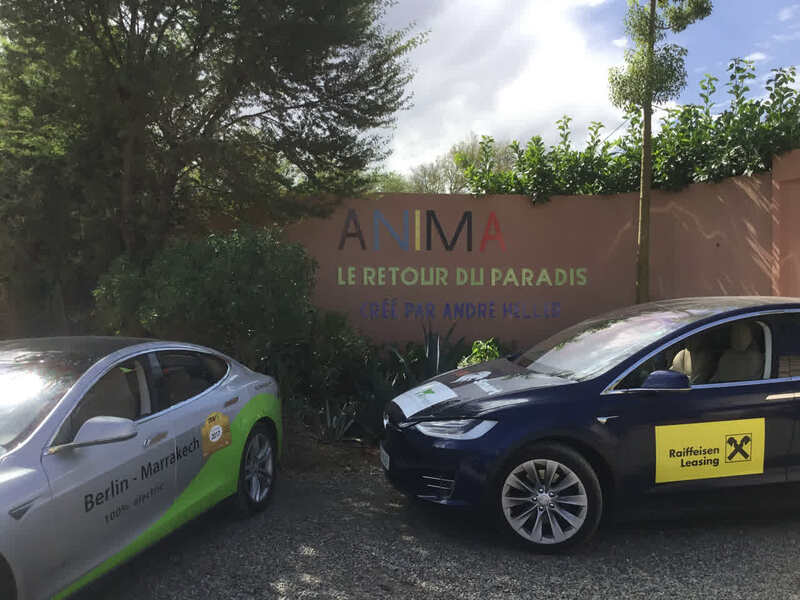 Already 2016 to the climate summit in Marrakech, we (Bernard and Ingolf) were inspired by Silvia, Samira, Khalil and Martin.The idea of a purely electric rally in Africa was born. 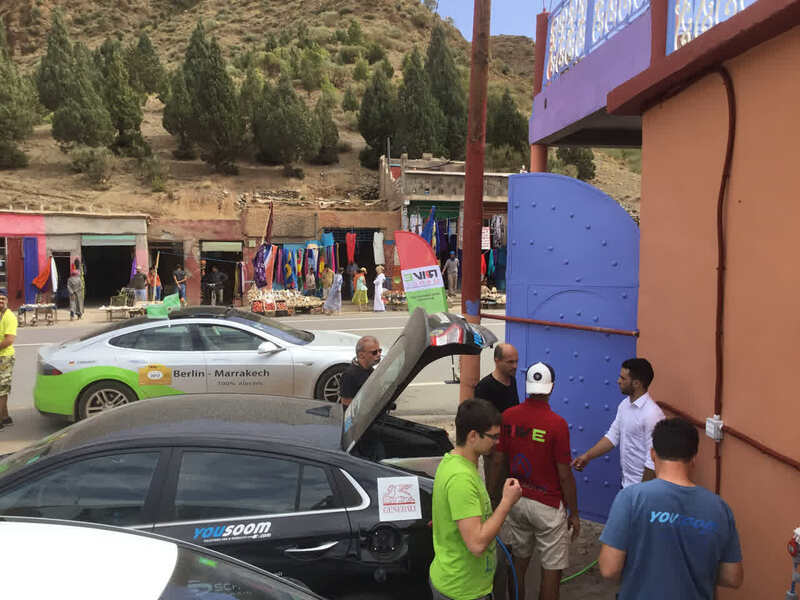 Find like-minded people, set up some charging stations, nice emobil travel, adventure with team spirit and culture-hungry. 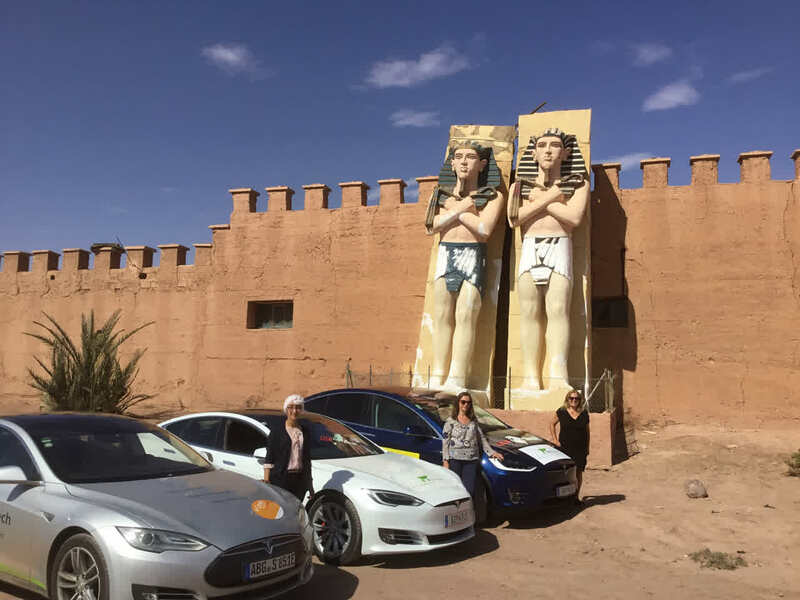 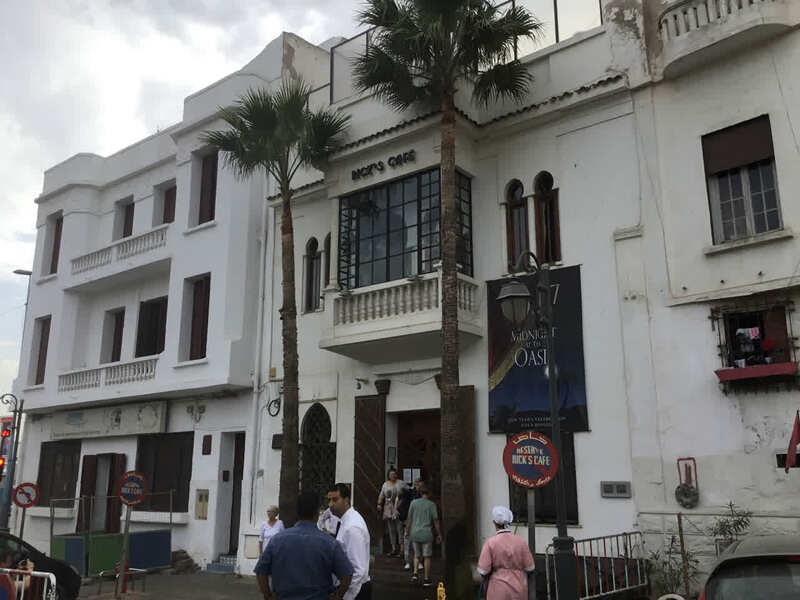 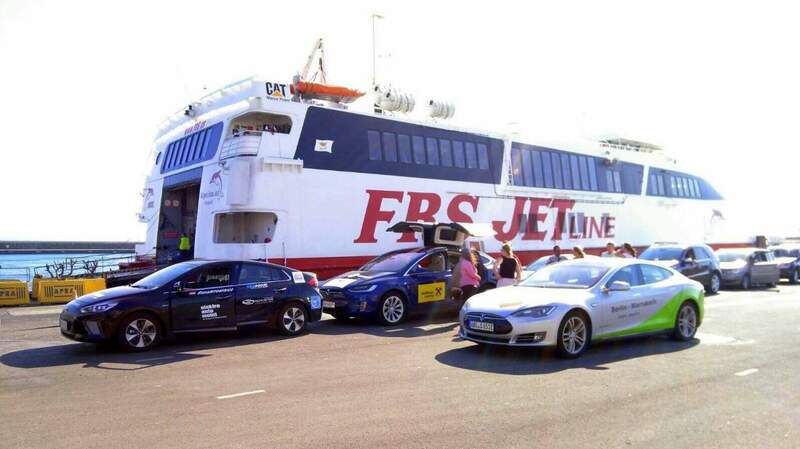 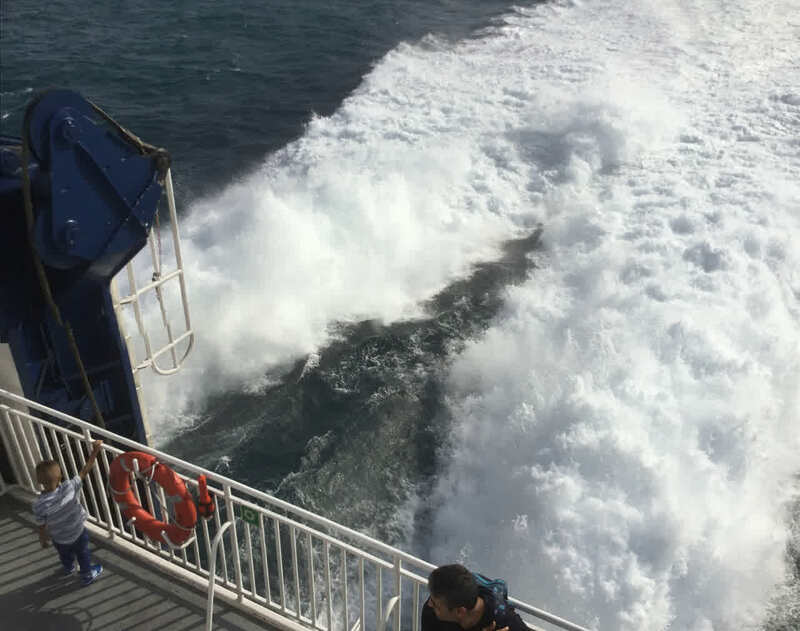 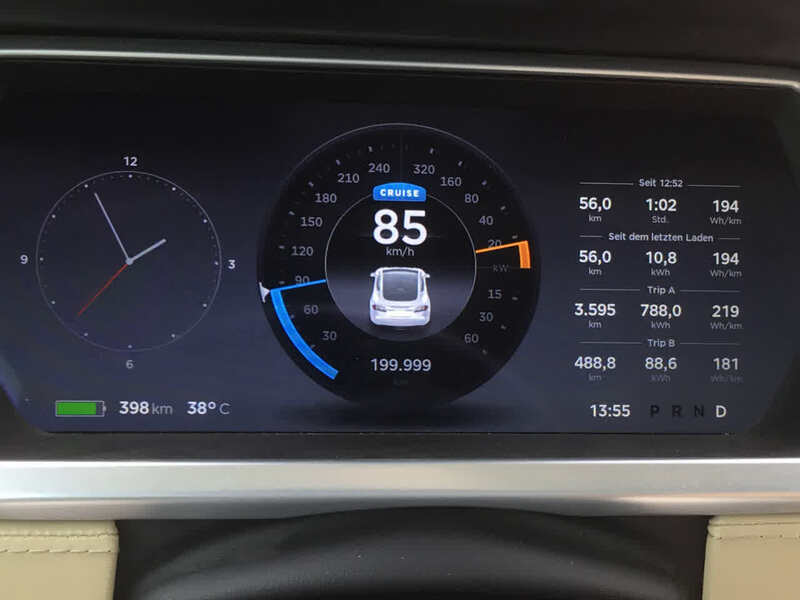 Our three-day journey was by France and Spain along the supercharger to Granada, then via Mallaga to ferry from Tarifa to Tangier. 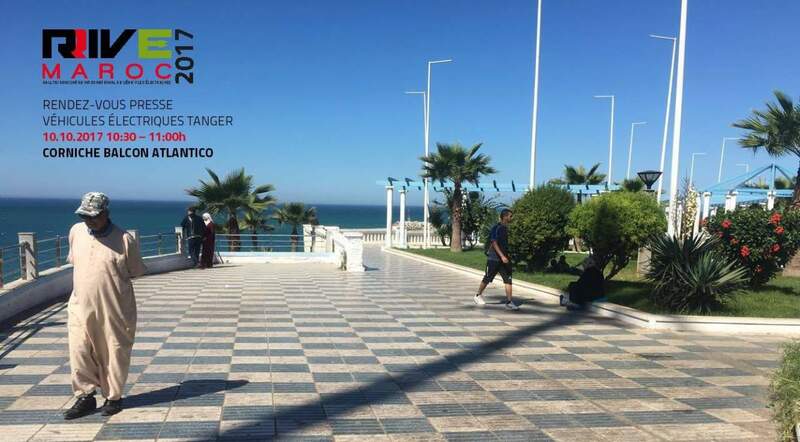 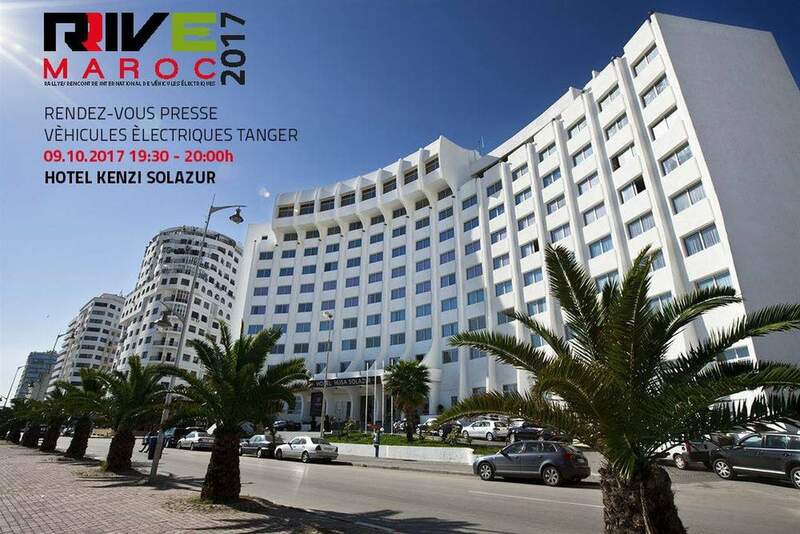 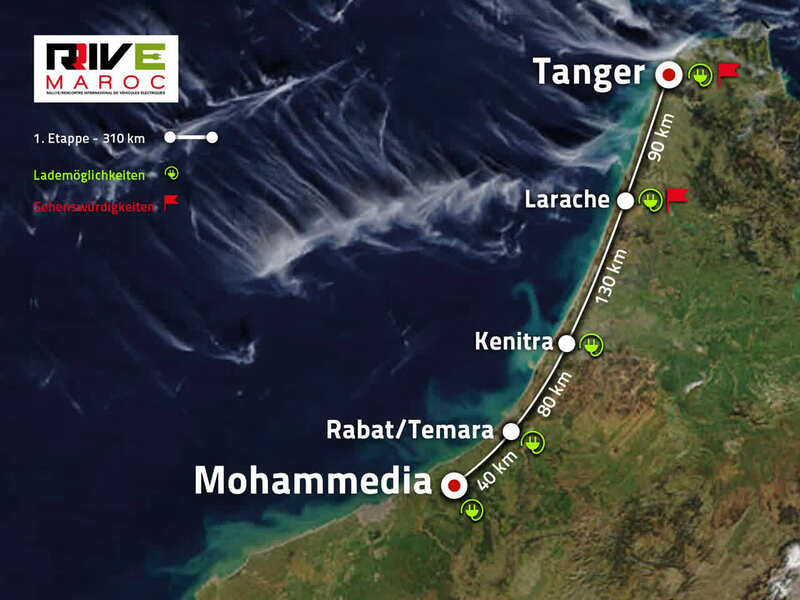 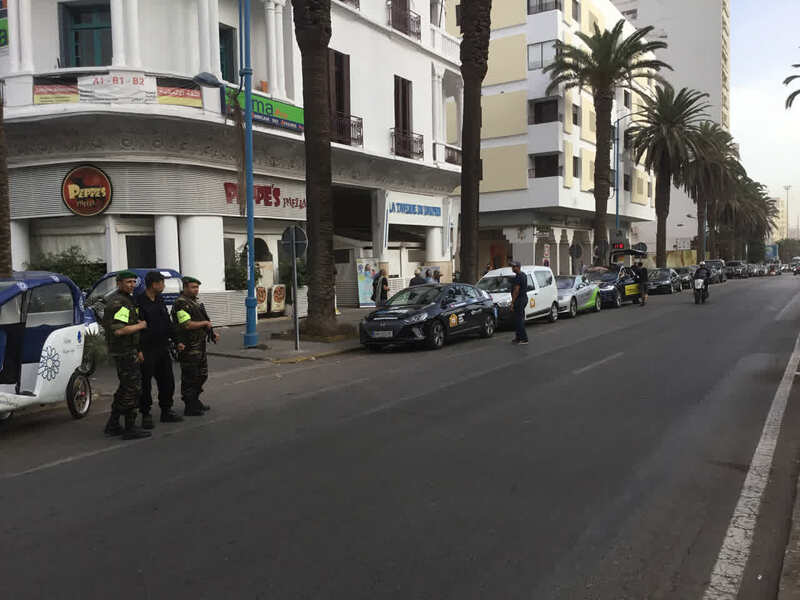 First stage of Tangier to Mohammedia. 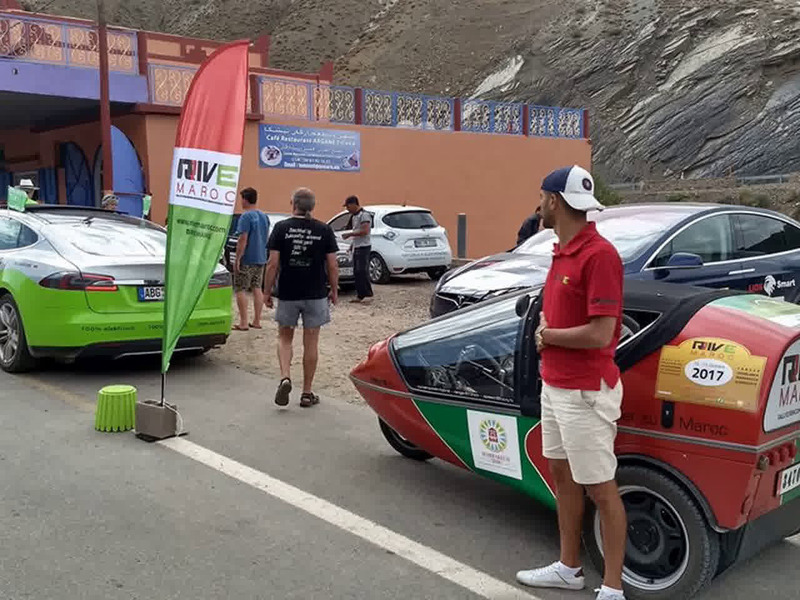 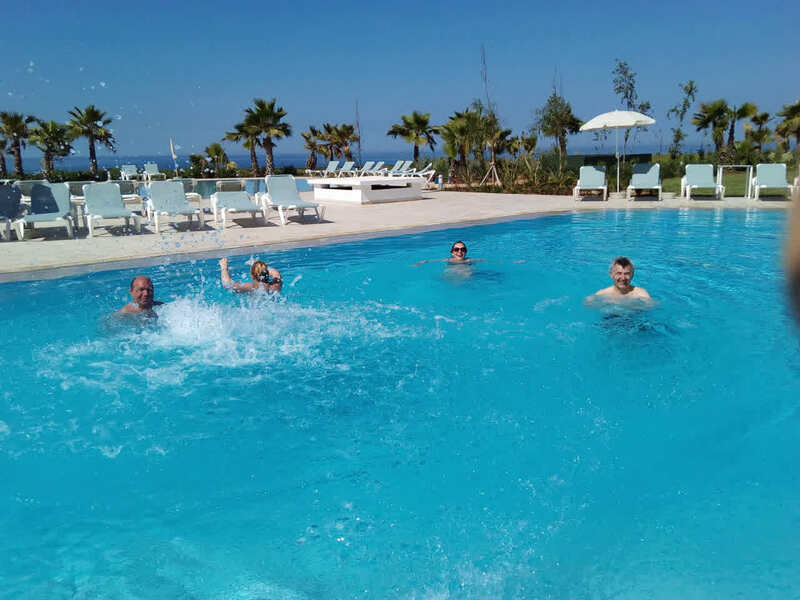 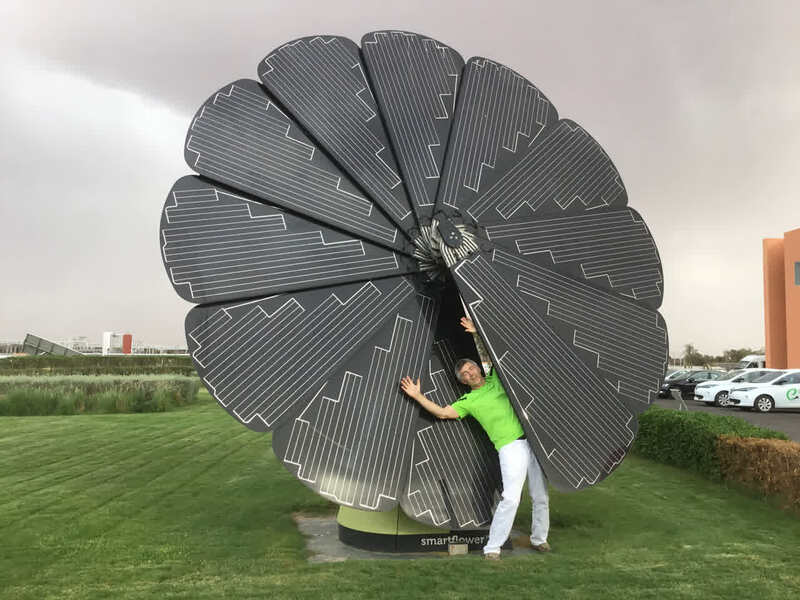 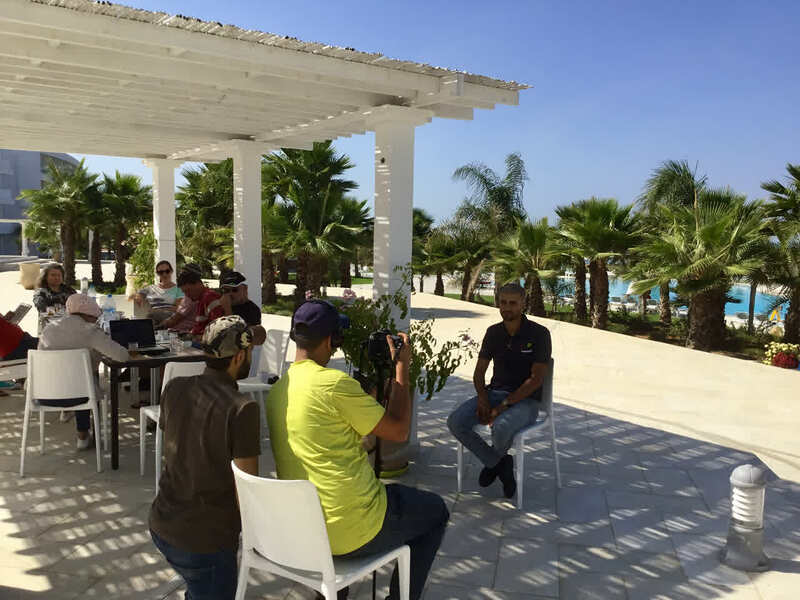 Charging and swimming at Lixus Beach Hotel in Larache, stopover at Hirschmann in Kenitra, friends in Rabat and Casablanca visited. 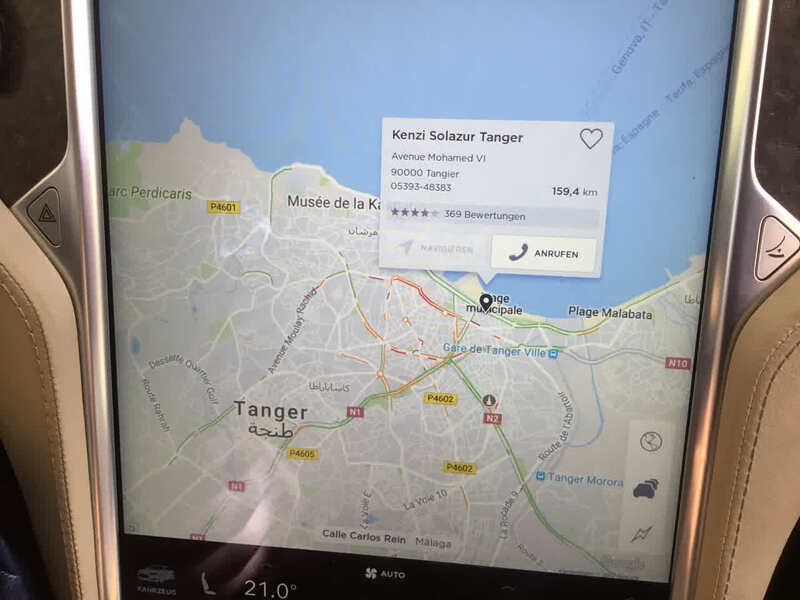 City tour with e-bikes in Casablanca. 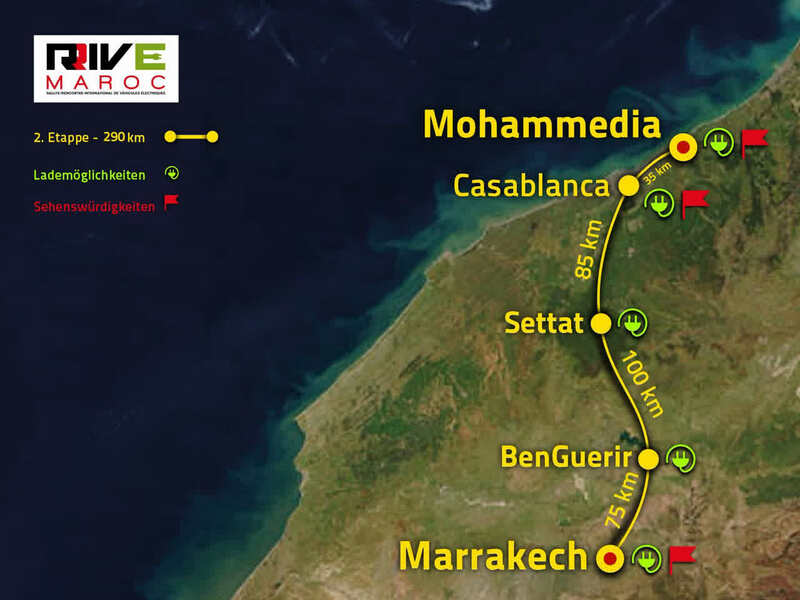 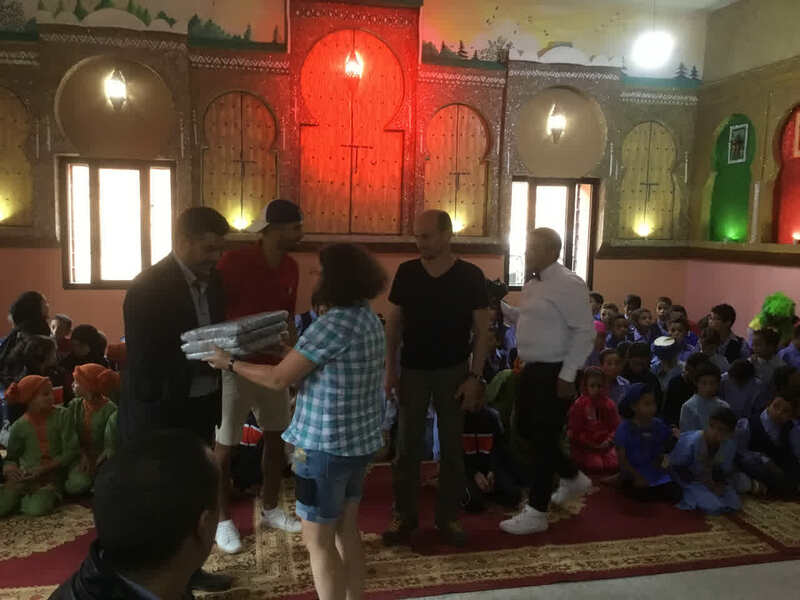 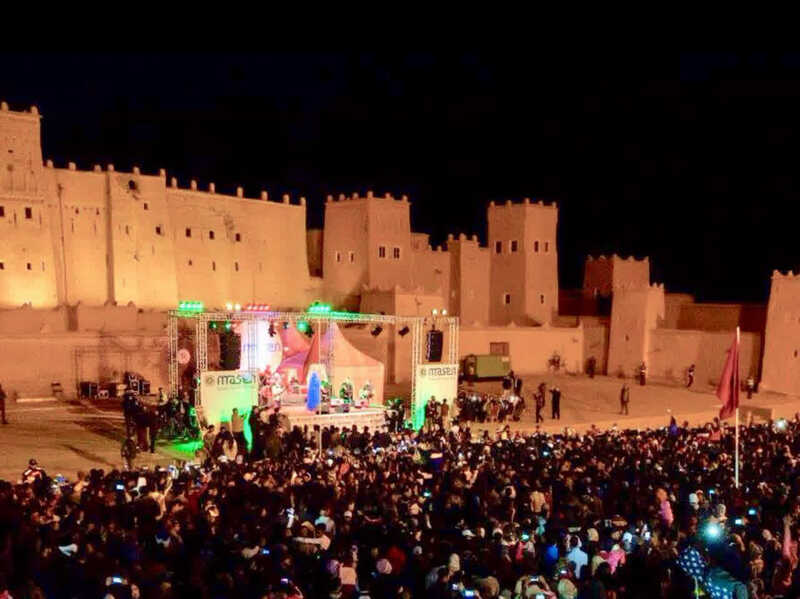 Second stage from Mohammedia to Marrakech. 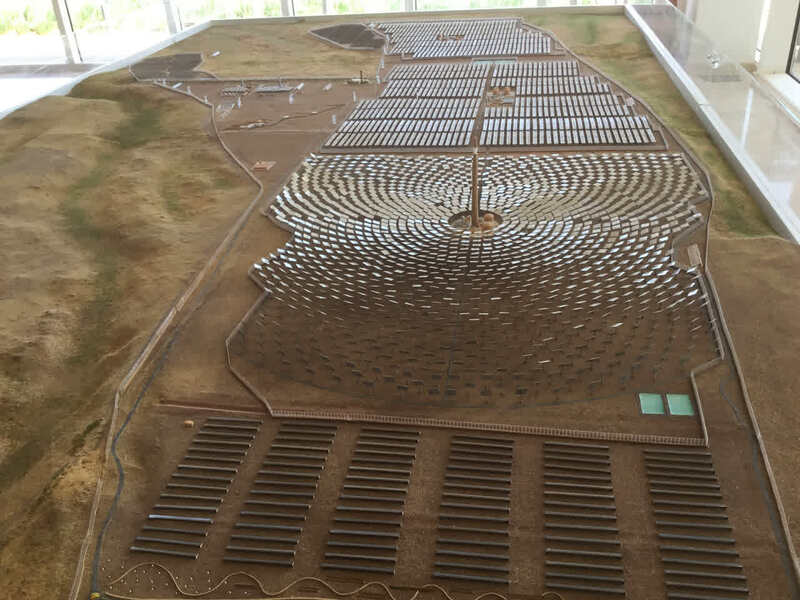 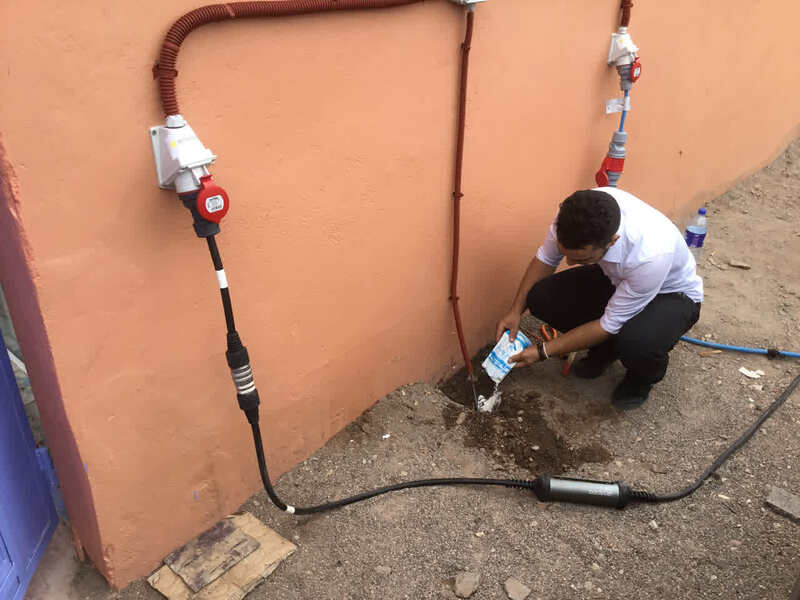 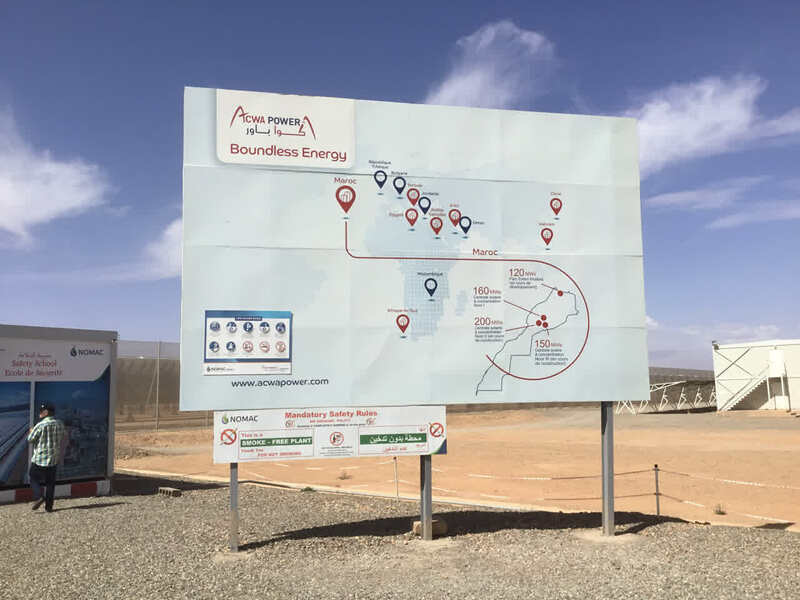 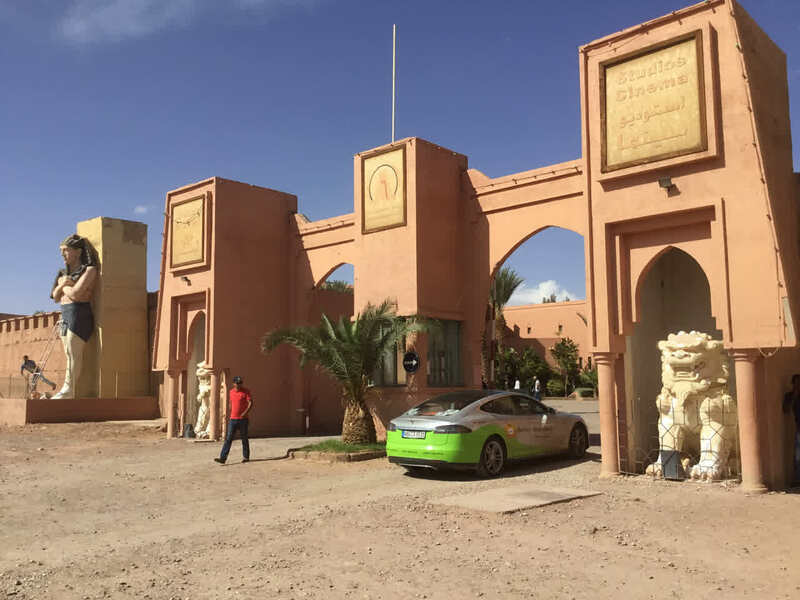 Visit the University of Settat, electricity fuel in Benguerier on the IRESEN Institute. 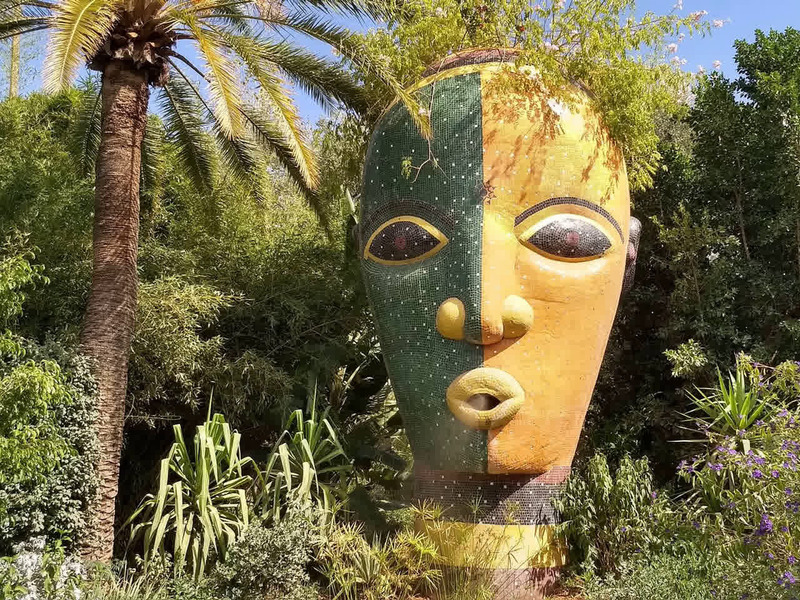 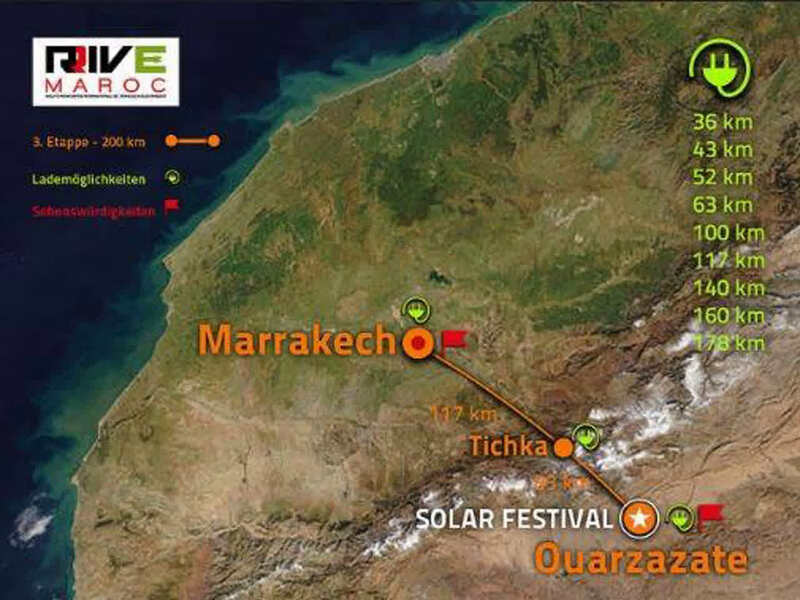 Then, it was at 35 degrees to Marrakech. 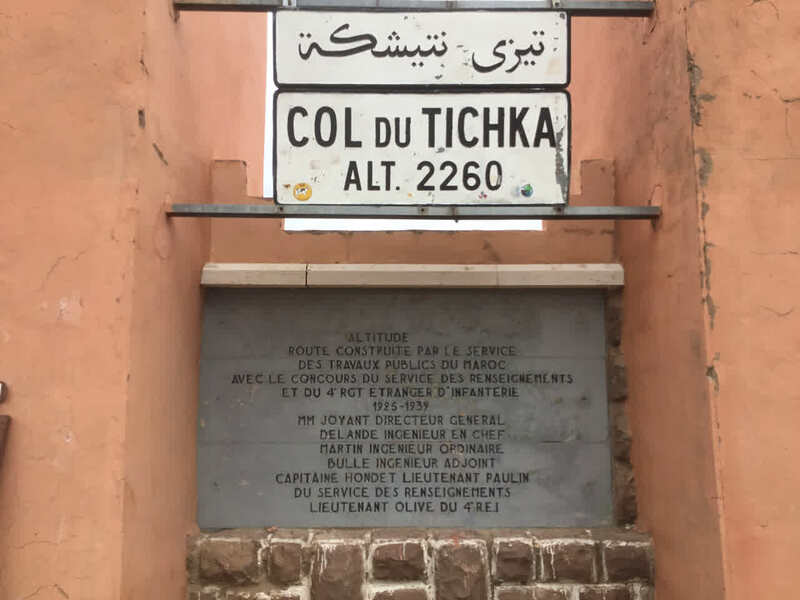 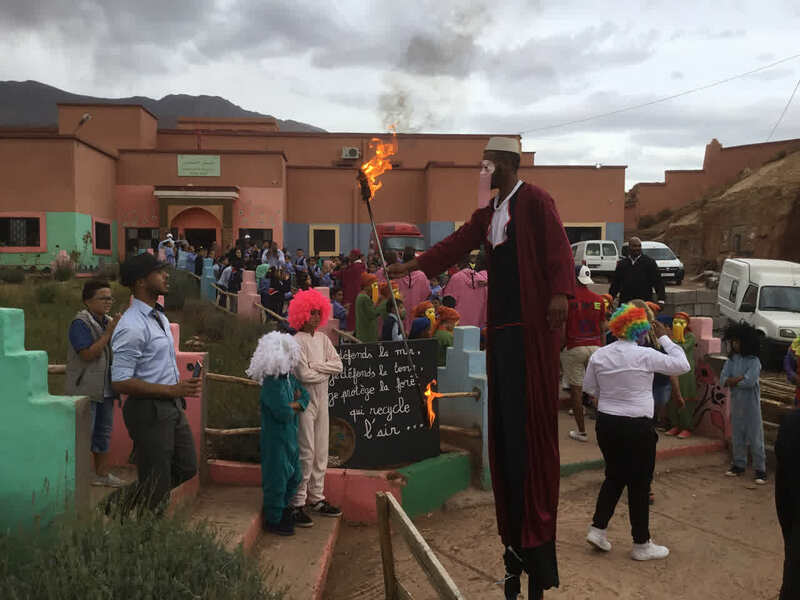 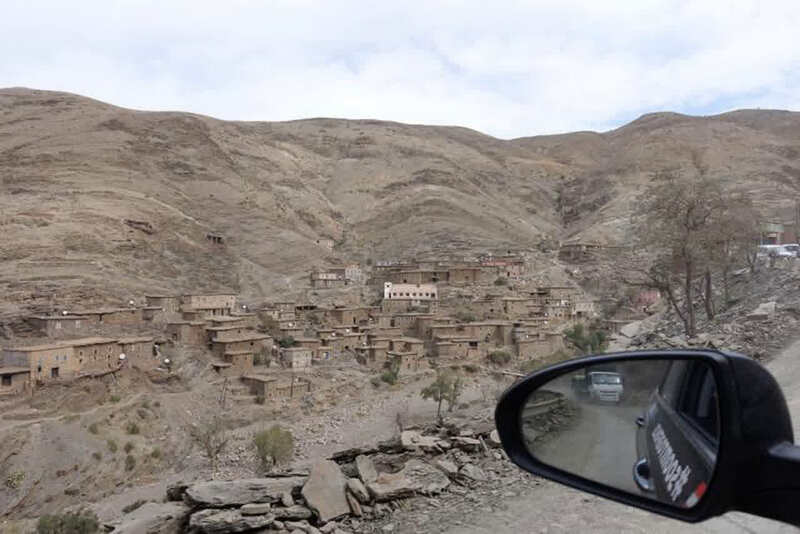 Third stage from Marrakech South across the Tichkapass (2260m) in the Atlas mountains 235 km to Ouarzazate. 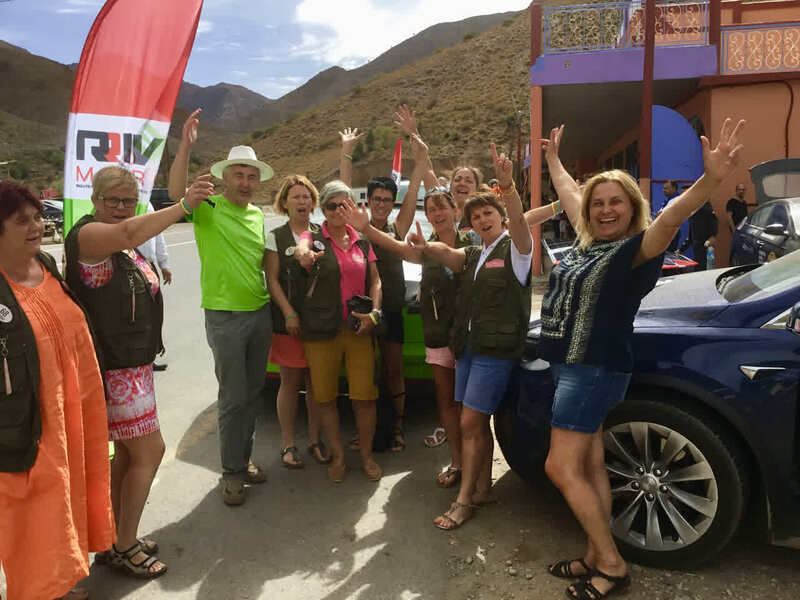 Start at the Villa Janna, we met the ladies of Cap Femina Aventure trophy, prepairing a charging place in the mountains to work, handed notebooks and accessories at an eco school. 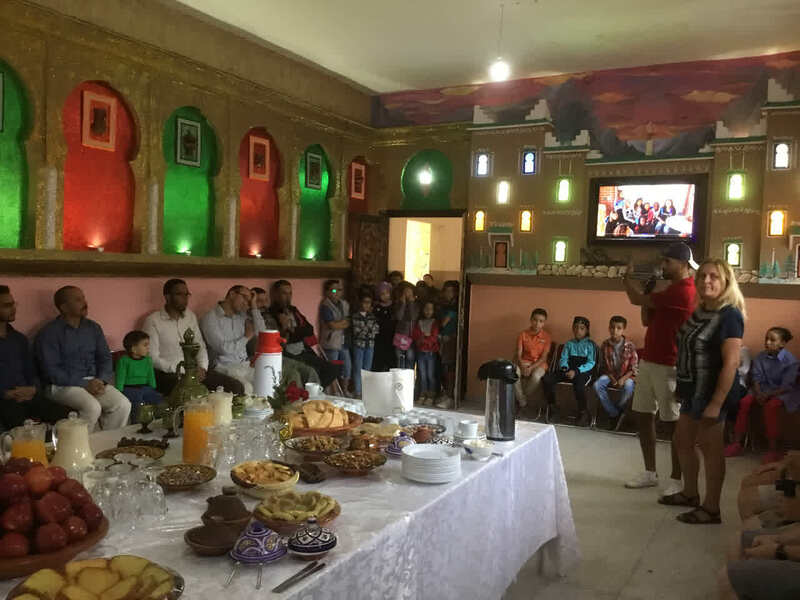 On the aim of a great cultural reception and a lovely hotel. 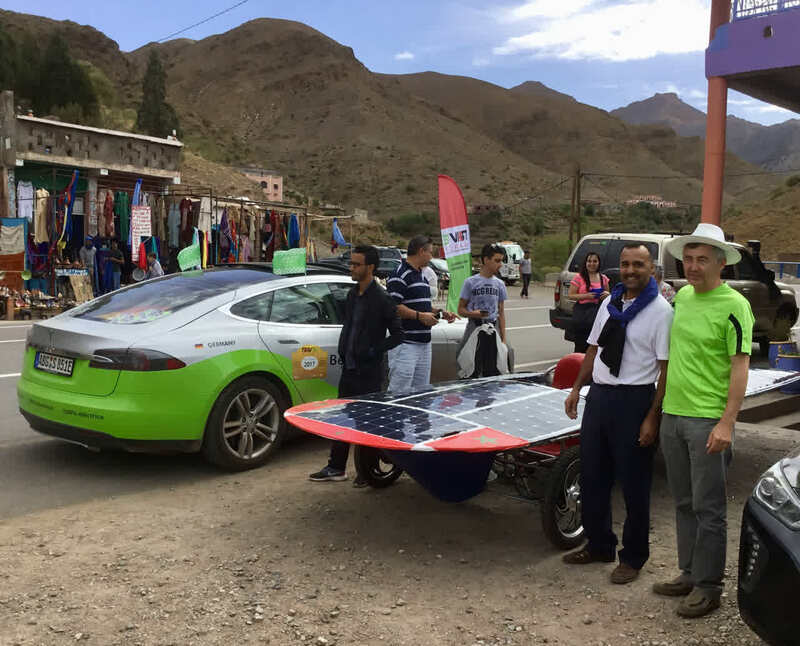 We have not only e-mobility, environmental and educational projects in mind. 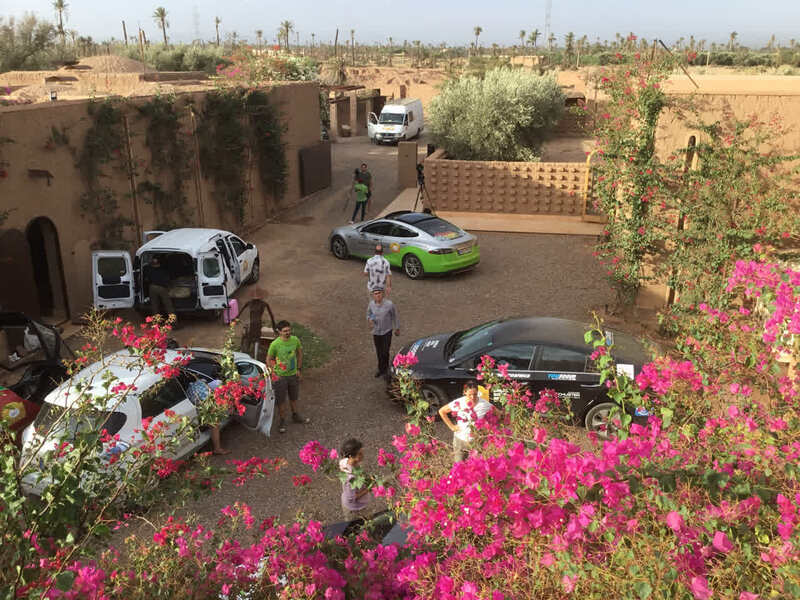 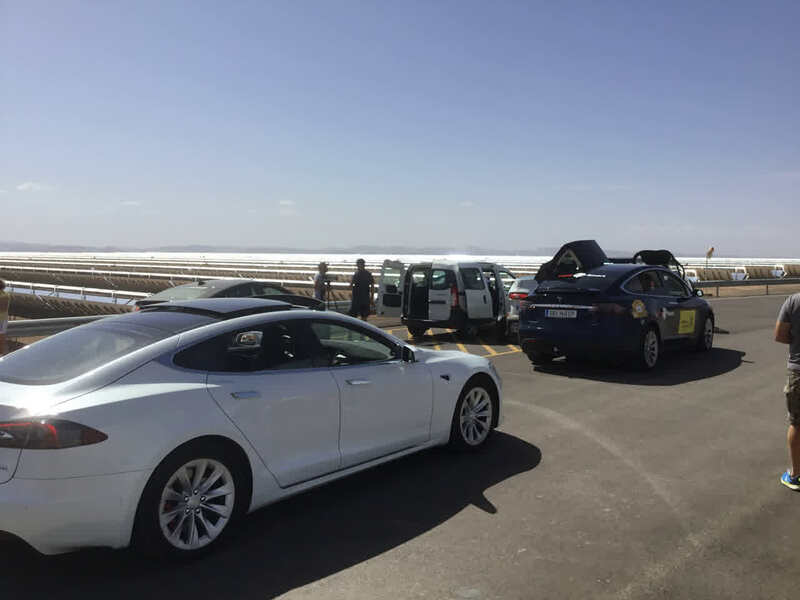 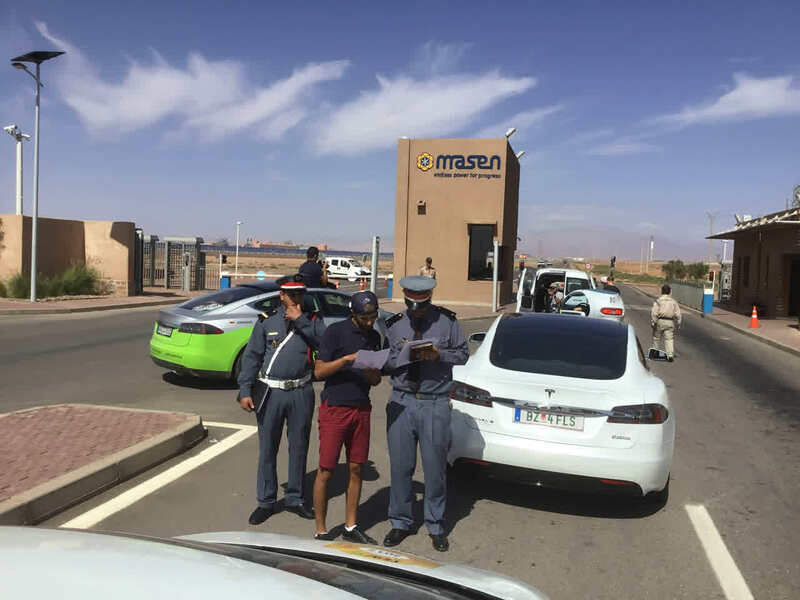 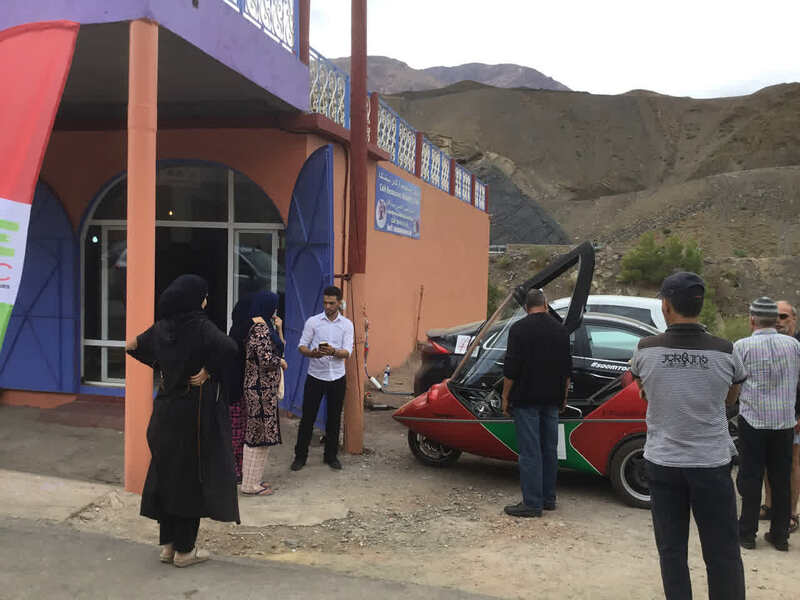 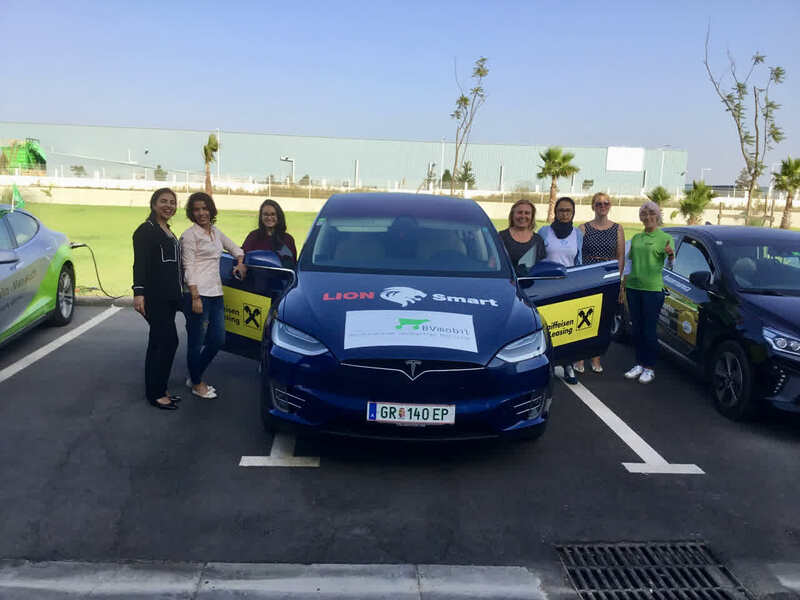 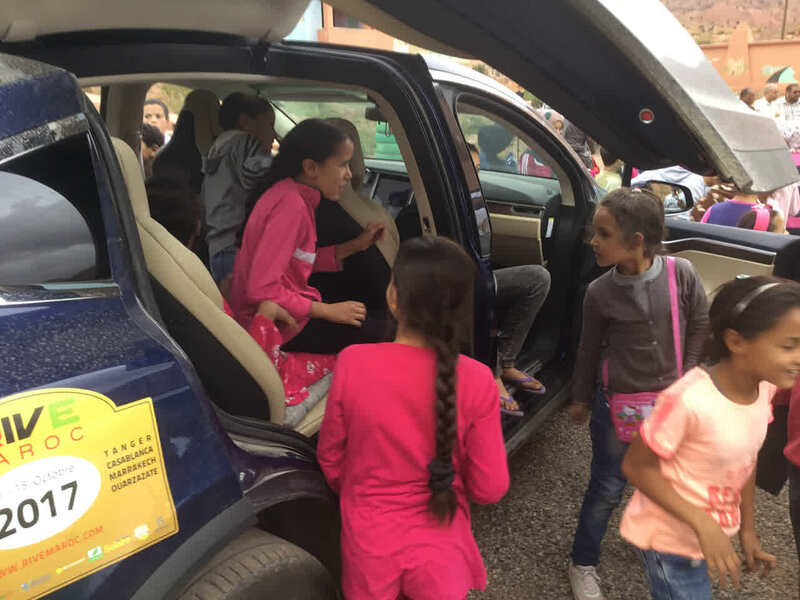 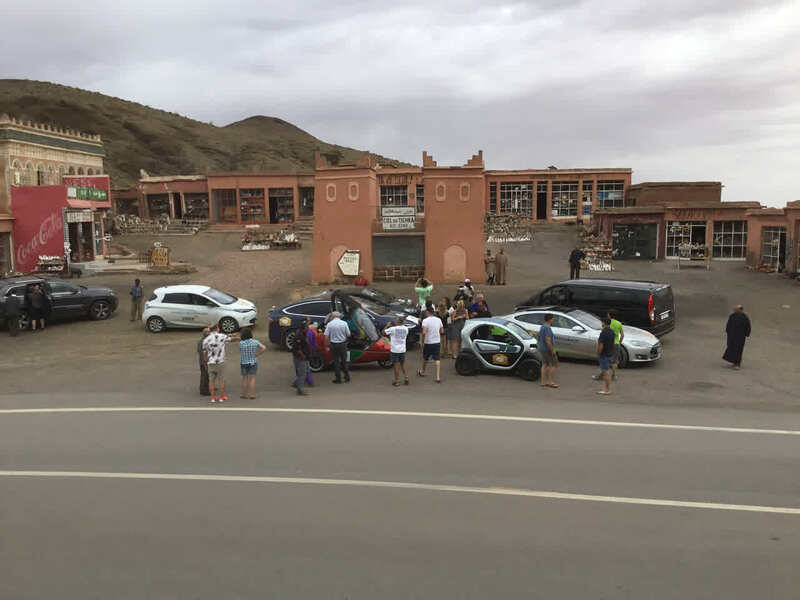 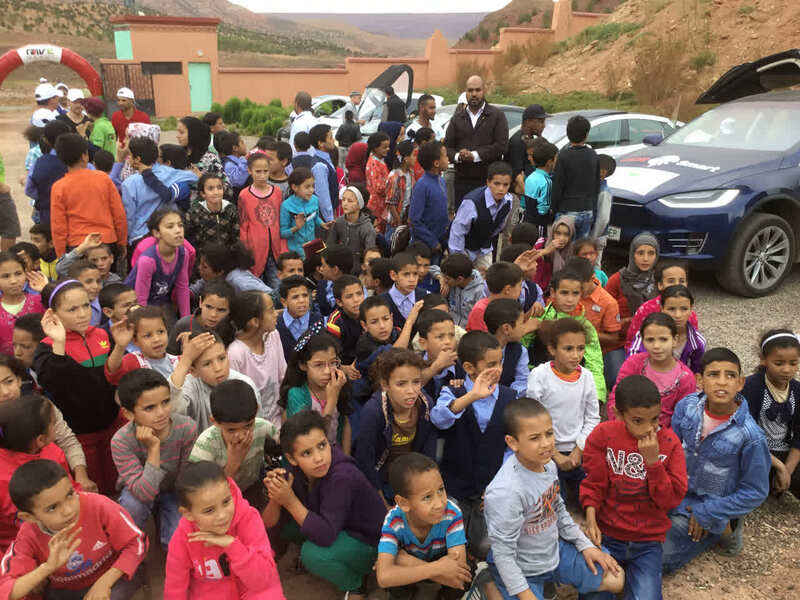 Moroccan men saw the women's team in the Tesla model X, some were for the first time speechless. 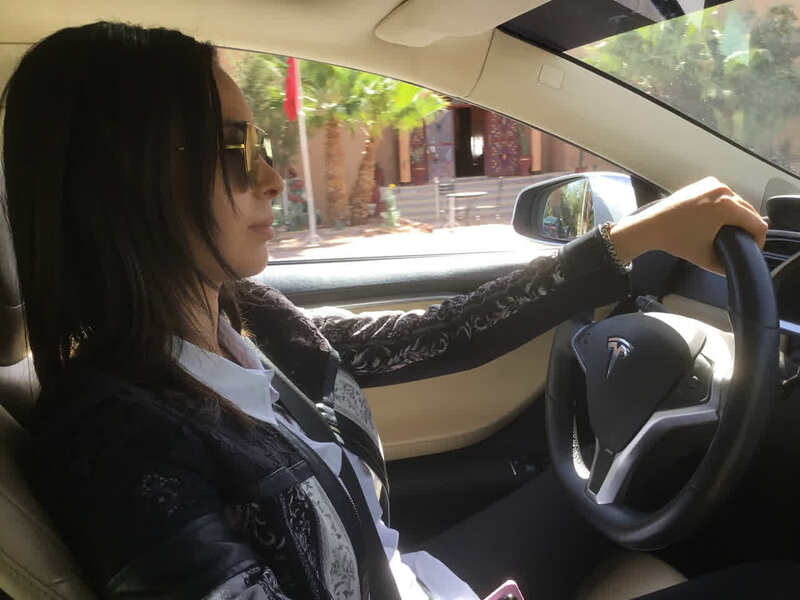 Moroccan women such as Samira or Ghita as drivers are our contribution to strengthen the acceptance of women in the social life. 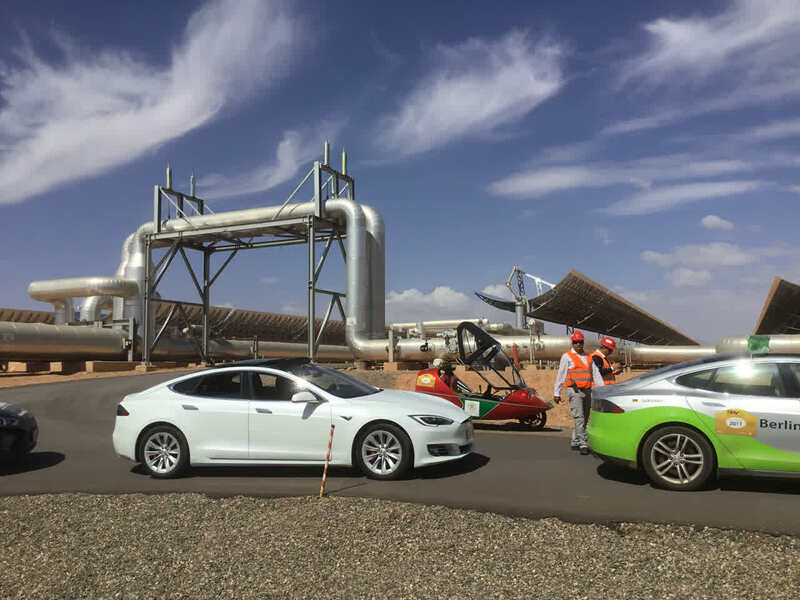 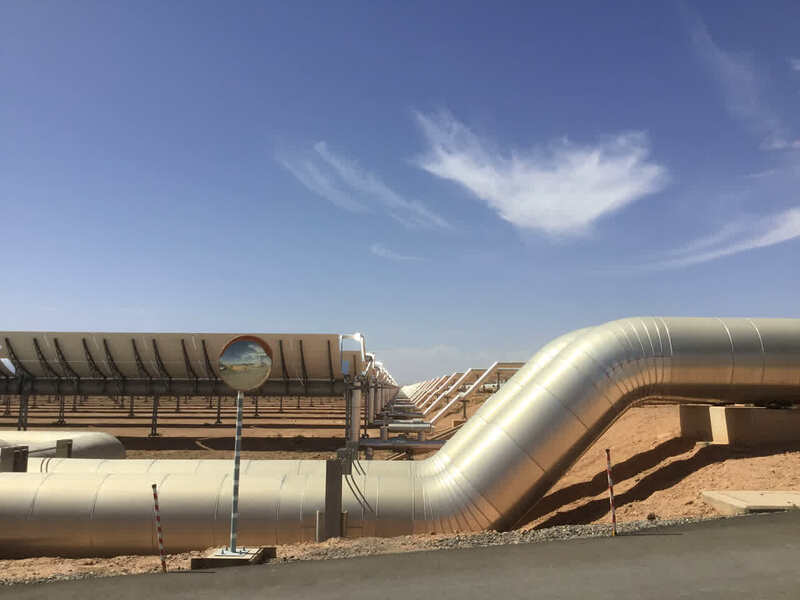 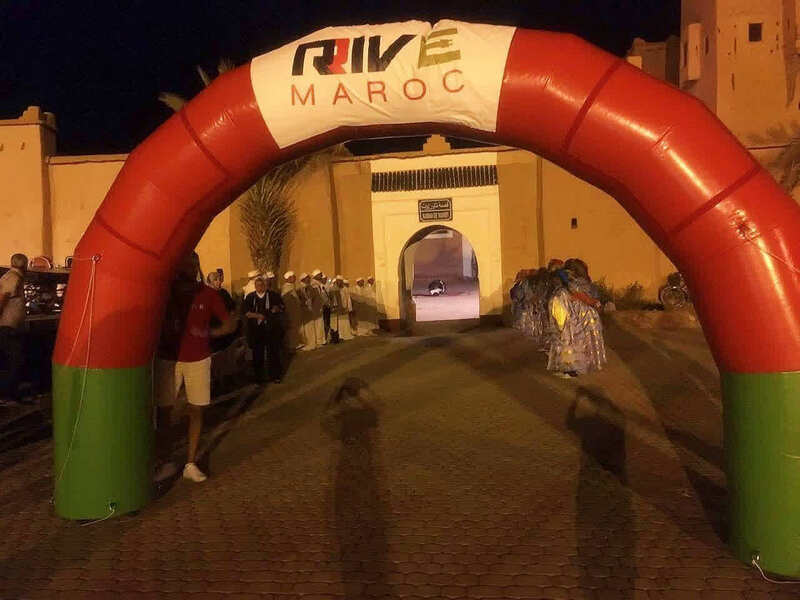 The RIVE MAROC visited the power plant NOOR 1. 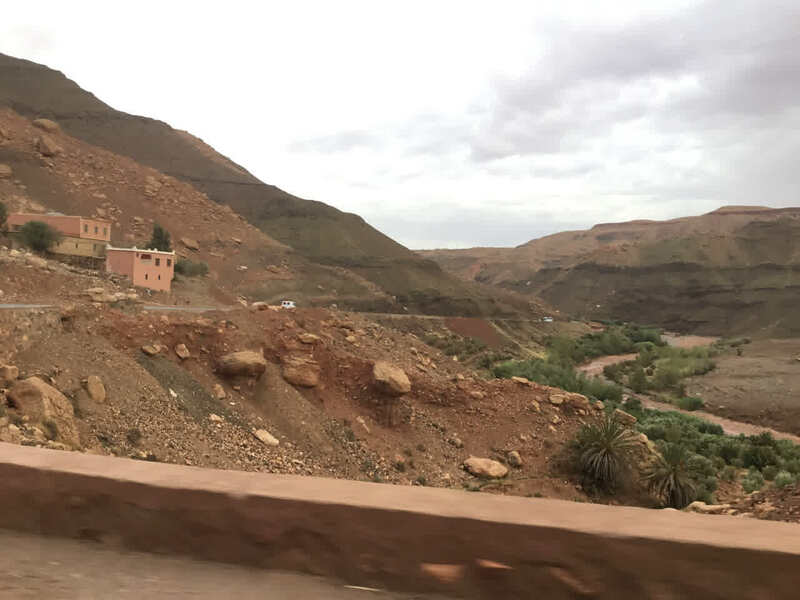 Last day: we are on the way back to the North. 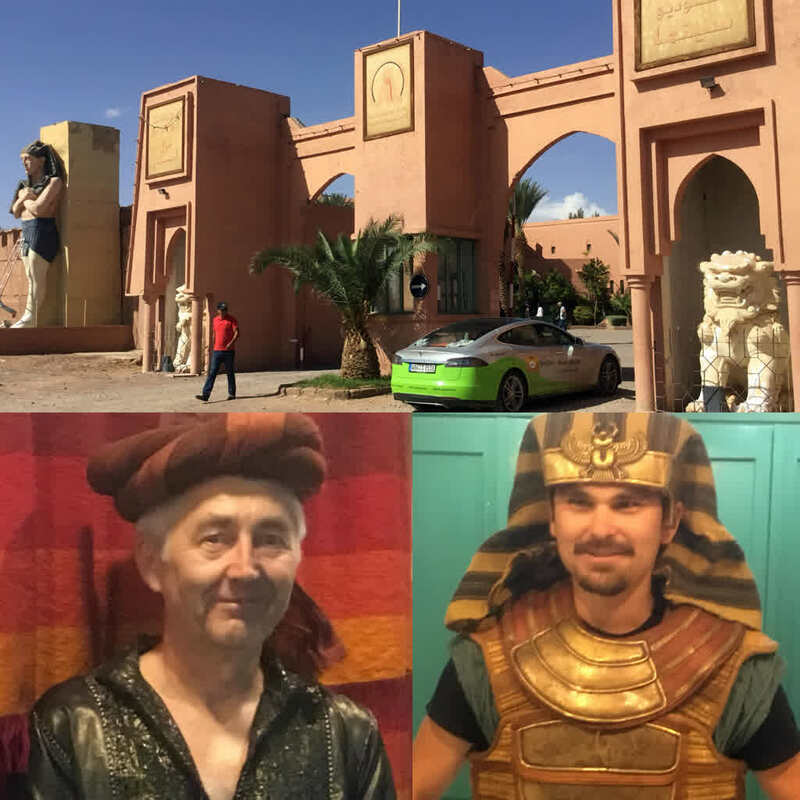 In the South Sahara heat and East to Algeria we come not in. 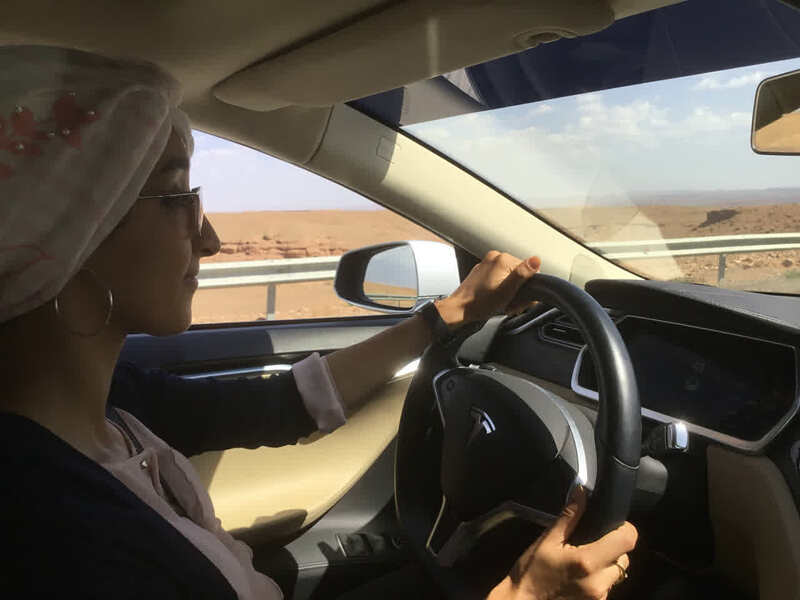 Full of exotic impressions, we drive towards sea. 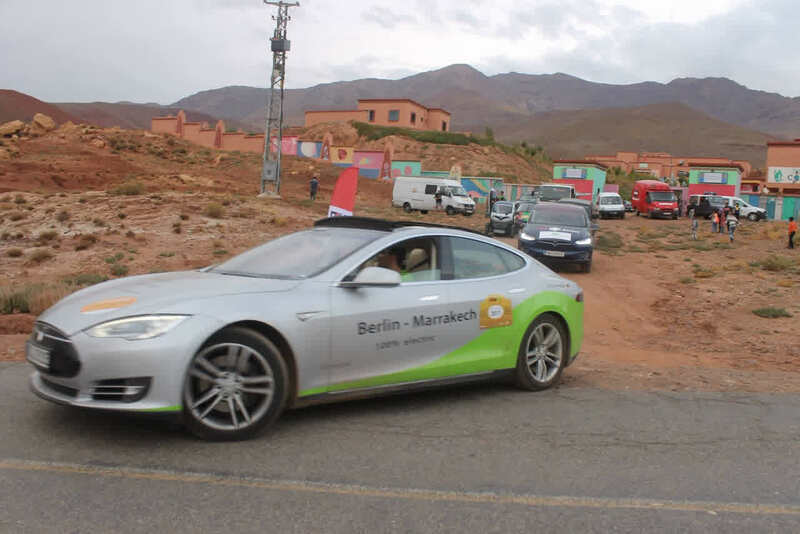 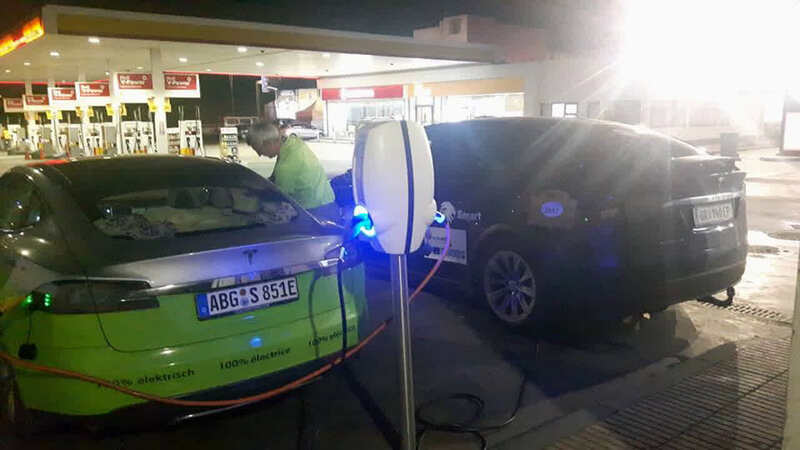 Conclusion: 100% electric mobility is possible in Africa. 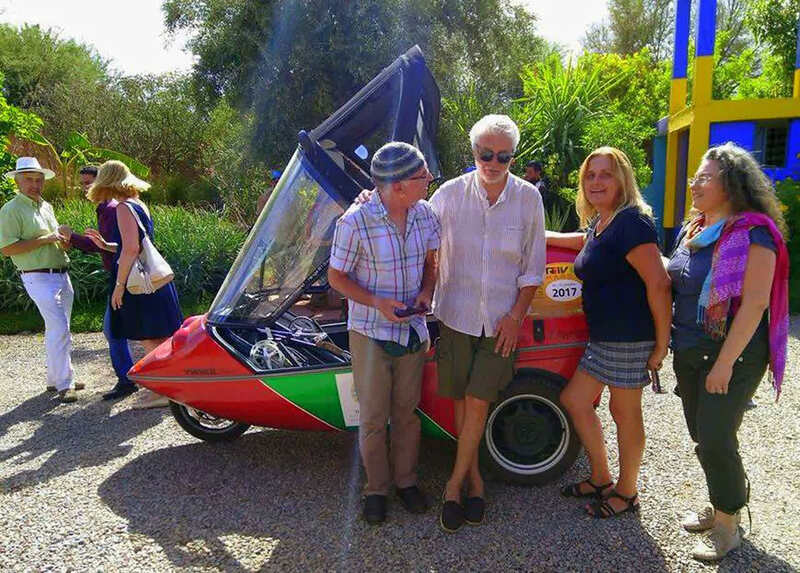 Thanks to all organisers and helpers, and especially to our incredible Silvia.